Perhaps writing a character reference letter is a challenging task for you. Here are sample letters to give you an idea on how to go about writing character references for employment, professional, academic, and other reasons. They all vary and come in different styles, depending on the purpose. 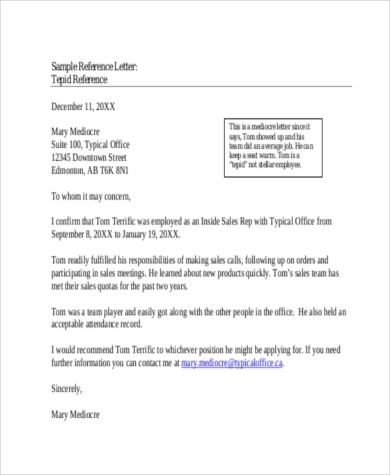 There may come a point where we will be asked to craft a reference letter – could be meant for our friends, a former employee, and even a family member. 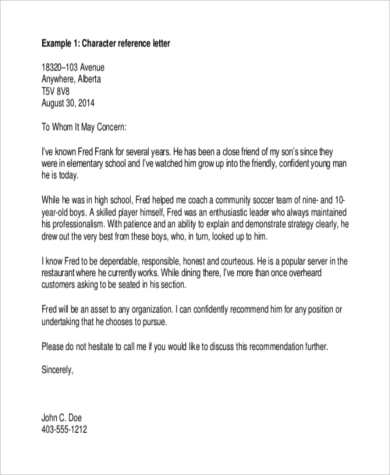 An impressive and professionally laid-out reference letter will give the reader a positive perception of the individual referred – everyone has their own unique set of abilities and skills that can impress. An Academic Reference is for students who are applying for scholarship grants offered by universities. 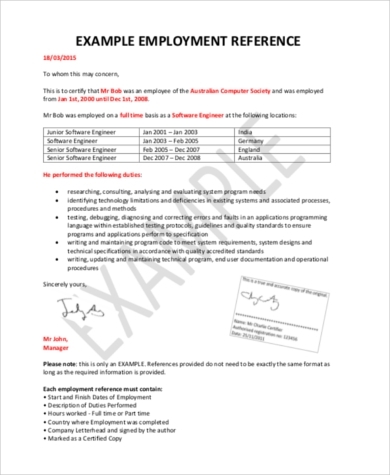 A Work Reference Letter is to be submitted by an employee to a new employer and should be written by the employee’s previous employer. 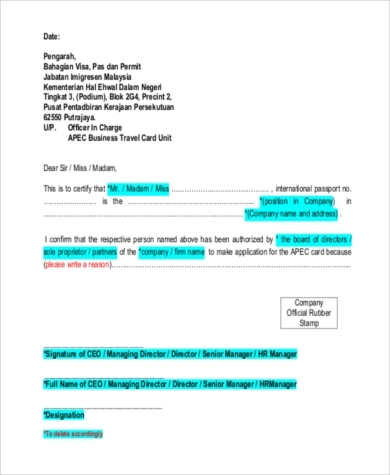 A Reference Letter for Immigration is a type of reference letter asked from a visa applicant by the embassy of a country he wishes to apply to. 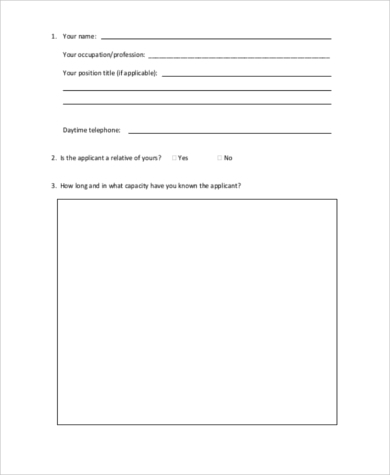 More valuable templates can be found through the following links: Sample Reference Letters and Sample Character Reference Letters. Through these links you will find easy-to-read and quick-to-download templates that you can customize as necessary. Knowing the addressee gives more credibility to your letter. It would be helpful to provide a good background of your former employee. A detailed, positive, and well-mannered reference letter is helpful indeed. 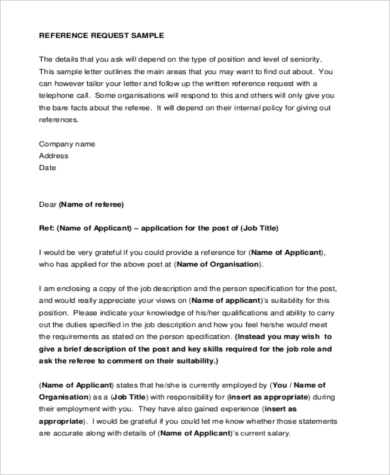 As you write your reference letter, make sure it has a zest of authority – feel free to use the official letterhead of your company. As a manager, it is important to provide a good background of your former employee. 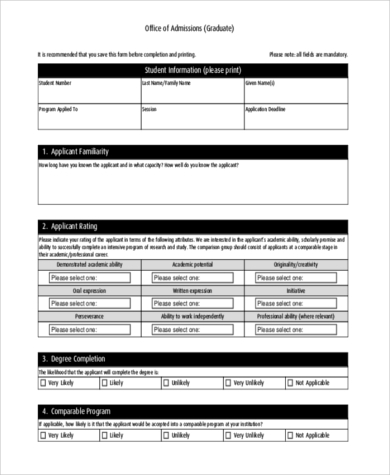 If writing a reference letter proves to be a challenge, then check out Reference Letter Samples for templates and easy-to-read guides. The link has a slew of tips on how to tailor a well-written and professional reference letter. Writing a good, well-mannered letter is indeed challenging. Most of us don’t know where to start. 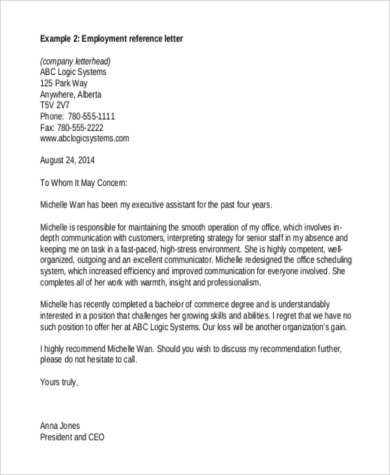 With a collection of helpful samples and templates, you may edit and customize your preferred format of reference letter in no time. 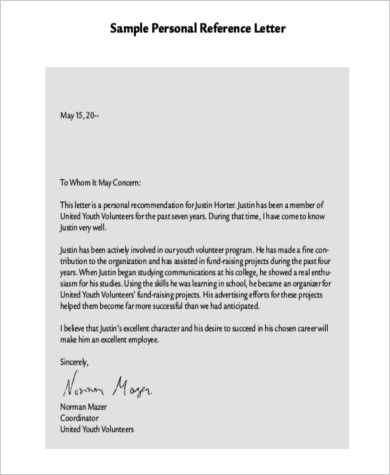 Nothing beats a professionally written letter that is positive in tone.